Her father, Macly Group founder and managing director Herman Chang, is well known as one of the pioneers of residential developments with shoebox units. Now, Joan Chang, having successfully rejuvenated Lloyd’s Inn in Singapore and launched a new brand in Bali catering to young travellers, is making her mark on the hotel industry. Built in the 1990s, Lloyd’s Inn, off Oxley Road, was a 36-room boutique hotel that catered to budget tourists who wanted to be near the Orchard Road shopping belt. The property’s façade and appeal had become outdated, says Joan Chang, the sole marketing manager for Singapore-based property development company Macly Group, which owns and manages the hotel. Five years ago, when she was 23 years old, she asked her father, Herman Chang, the company’s founder and managing director, to let her have a shot at turning around the hotel. Fast forward to today. Lloyd’s Inn is a trendy, upmarket hotel that attracts foreign guests and local staycationers. Most of the time, the hotel is either fully booked or enjoys 90% occupancy. Its average room rate is $140 per night, double that previously. Today, Chang oversees the management of the company’s two hospitality brands as well as marketing campaigns for the company’s residential projects. Apart from Lloyd’s Inn, the other hotel brand is Cara Cara. 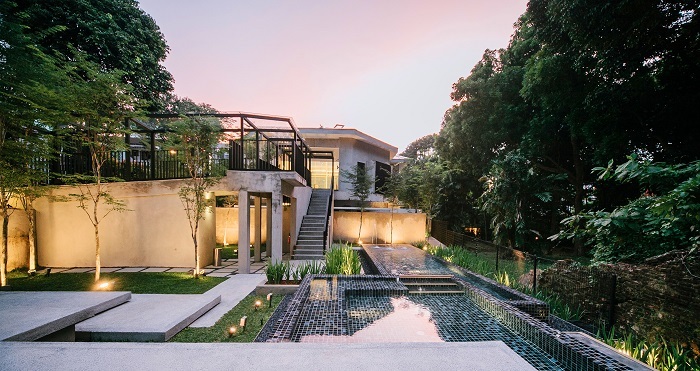 Macly Group is an established property developer in Singapore. The company has been developing residential projects since 1987. Herman is one of the pioneers of shoebox apartment developments here. In 2004, his company launched the 35-unit Mackenzie 138 off Bukit Timah Road comprising studio units of 409 to 624 sq ft and two-bedders of 764 to 883 sq ft.